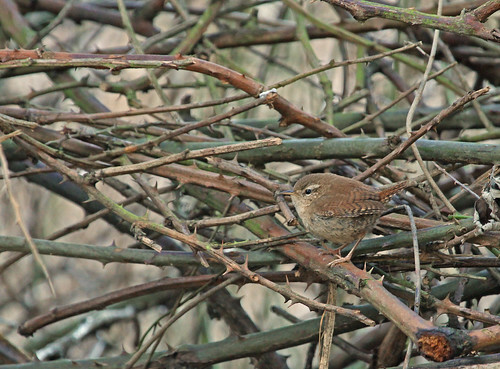 The word ‘troglodyte‘ has derogatory connotations so I wondered why the taxonomic name for the wren uses it twice, and apparently it originates from the Greek for ‘cave dweller’. 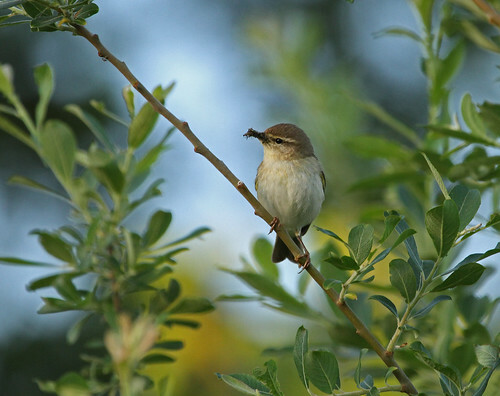 Even though the BTO website lists its habitat as woodland and undergrowth as it’s an insectivore I guess that could make sense in some countries, so I guess it may depend on the nationality of the scientist who named it. 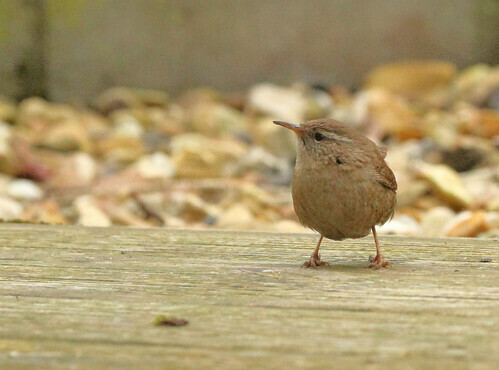 Wrens are tiny, weighing on average 10g and with a 15cm wingspan. 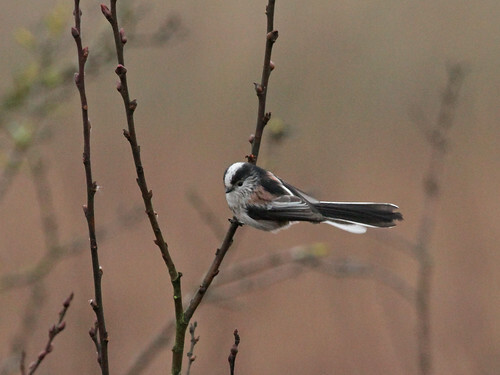 They’re resident in the UK and I think it’s remarkable that such a tiny creature can survive a long cold British winter. A real testament to the effectiveness of feathers as insulators. 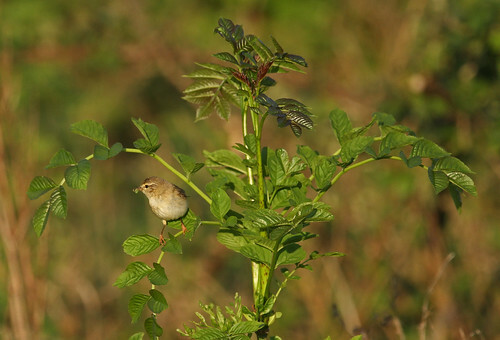 And another amazing thing about wrens is their voices, they have incredibly loud song for such a tiny bird, if you’d like to hear it click here: Eurasian wren song. 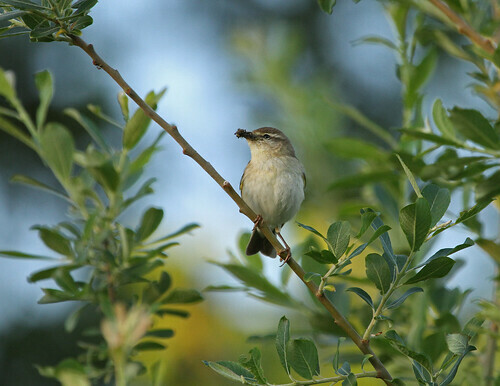 Yet another remarkable fact about the humble wren is that it’s the most numerous songbird in the UK with 7.7 million territories. 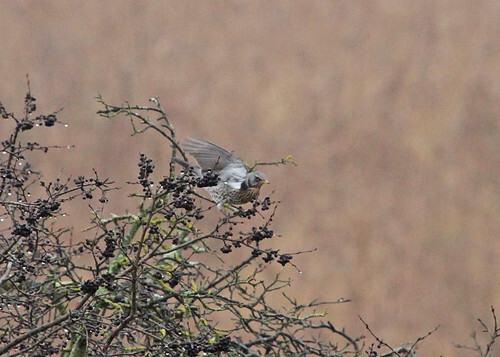 And as they’re not always easy to see as they flit around the undergrowth I was surprised by that statistic until I learnt to recognise the song. After that I realised they are everywhere! 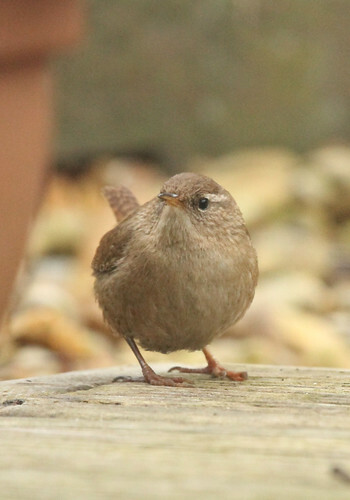 This little chap appeared one day in February this year on a bug hunt in the flower pots, he posed right outside the window and let me snap a series of portraits. 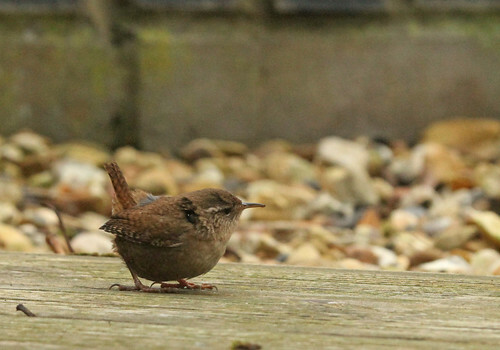 Wrens have been regular visitors through this year and I’ve deliberately avoided tidying the garden hoping they continue to treat it as home. 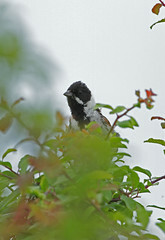 Where did all the finches go? 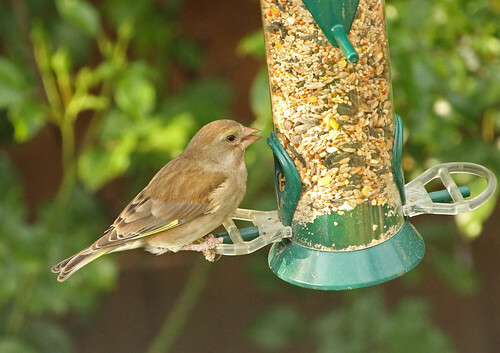 Until a couple of years ago my garden bird feeders were always visited by lots of finches: chaffinch, goldfinch, greenfinch, even the occasional siskin. 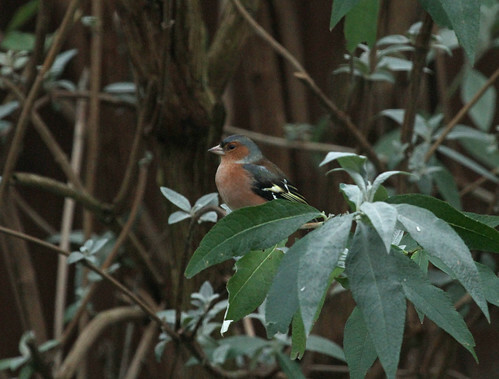 But then the goldfinch disappeared from the feeders, I didn’t see a single one for around 18 months, and then, even more bizarrely, the chaffinch stopped visiting. 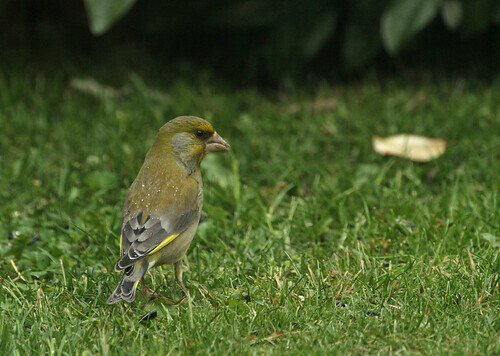 Greenfinch were always occasional visitors even though I could hear them in the nearby trees, but they seldom came in to feed. 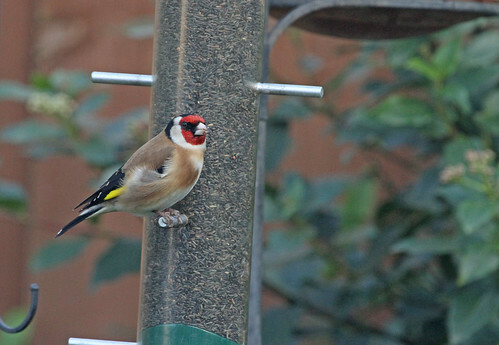 I don’t know what caused the finches to change their habits but it made my garden rather less colourful. 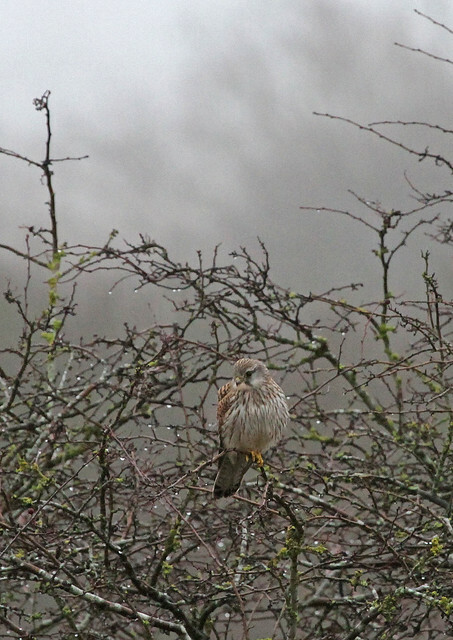 It’s a mystery why they moved away, maybe sparrowhawk visits became to frequent, or maybe because of recent warmer winters there is enough easily accessible food in the countryside. 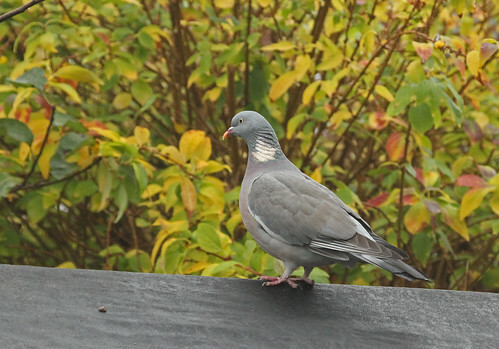 I stopped feeding the birds later in the spring because the seed was left uneaten and it began to go mouldy, but now the weather is getting cold I’m going to clean the feeders and refill them for the winter. And keep my fingers crossed the birds find them to their liking. 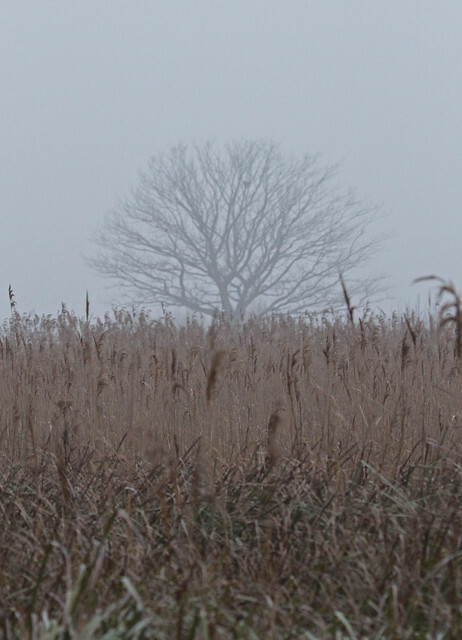 This post’s a tad unseasonal now, but I’m on a mission to try to catch up with myself, so this is the first edition of the my race to the present! 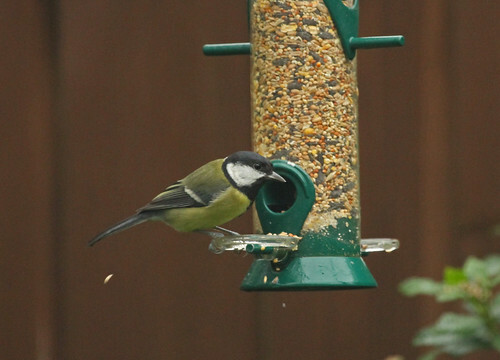 For the last couple of years the bird species that frequent my garden seem to have been changing. 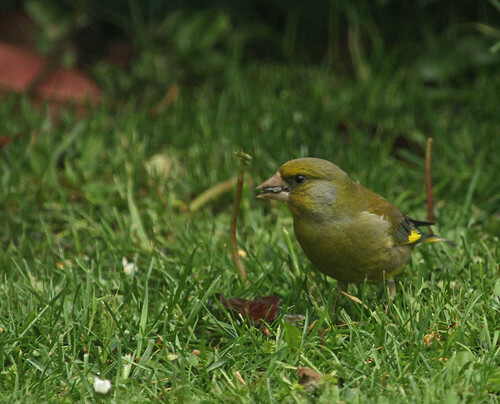 Greenfinch all but disappeared for over a year, even the ubiquitous chaffinch completely vacated for many months. 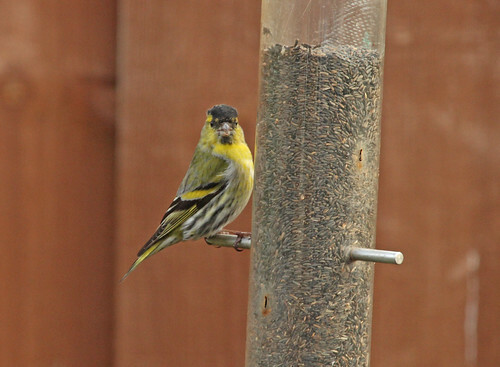 There is always a niger seed feeder for the goldfinch and siskin, and even though siskin seldom visit, goldfinch were there every day. And then they weren’t. if I see one in a week these days that’s as many as it is. 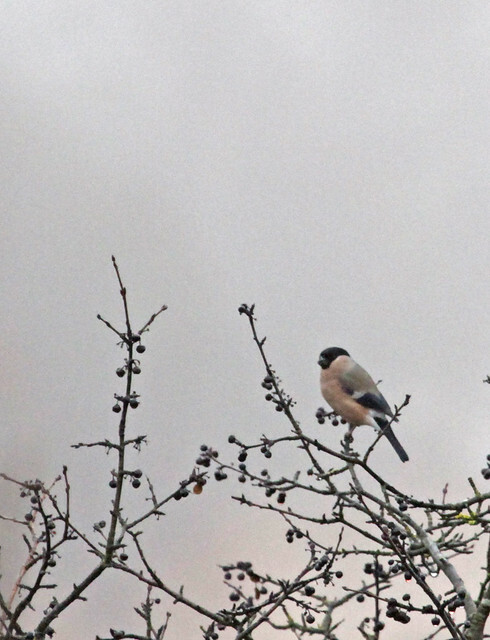 The strange thing is that all three of these finch species haven’t disappeared from the village so maybe, hopefully, they’ll return soon. 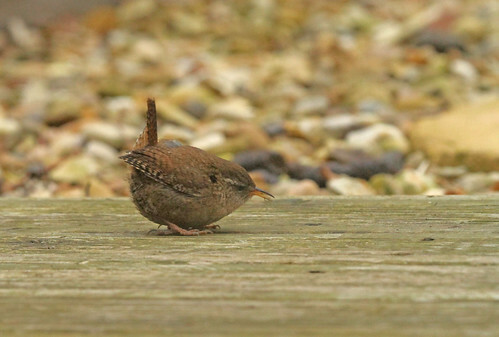 The wren is one of our smallest birds and has an incredibly loud and varied song for such a small bird. 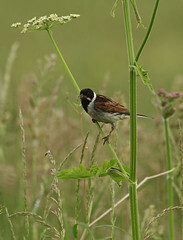 It’s the most numerous bird in the UK, it weighs around 10g and is resident in the UK throughout the year. 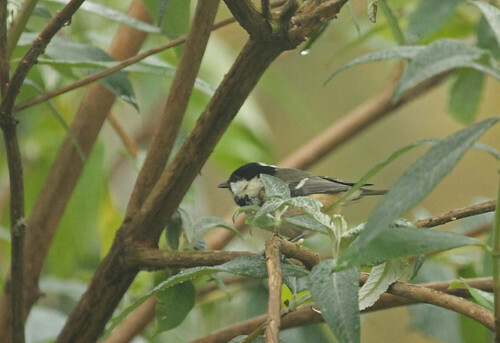 It’s a brave little chap and is one of the species that appears reasonably regularly in my garden where it’s always welcome. In my last post I showed you some pictures of some minibeasts I was cohabiting with in the summer last year. As the post title indicated, I don’t mind providing board and lodging for those little guys. I welcome all creatures to stop by for a nibble in the depths of winter because I think how miserable I’d be if it was me out there in the freezing cold with no food. 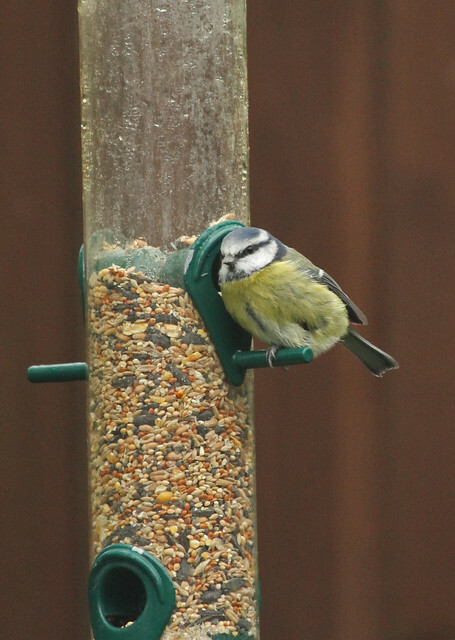 And until a couple of weeks ago the only non-avian guests I’d entertained were the occasional mouse and the even more occasional squirrel. 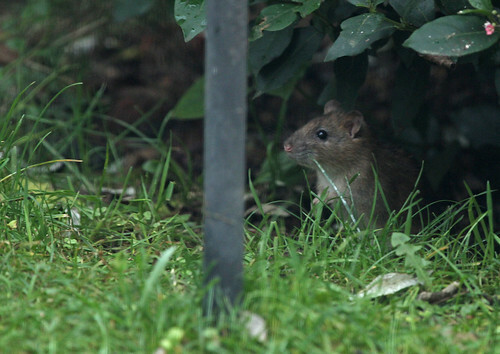 I know that rats can be a problem when there are too many of them in the wrong place, but I have a lot of respect for a creature which seems to me to be the ultimate survivor, I reckon ratty will be around long after humans have killed themselves off! Consequently, even though he is less welcome than my invertebrate visitors, I’m not going to panic and call for the rat catcher or put traps and poison out to try and kill him. 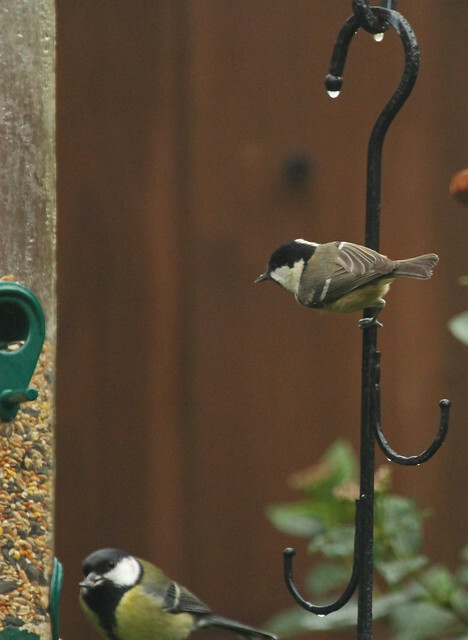 As I watched, he scurried out from under the bush and shinned up the metal pole with the bird feeders on and helped himself to a nibble at the fat balls. Now I reckon any creature that has the brains and the balls to do that deserves a little sustenance as reward for his skill and ingenuity. So fair play to him. 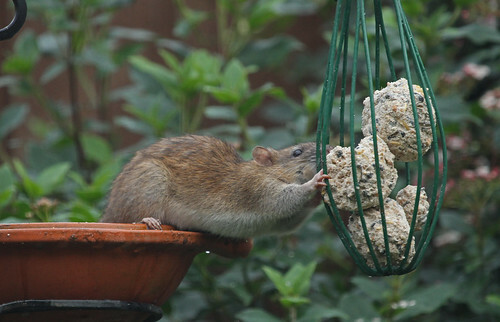 I know there are no rats living in the immediate vicinity of my house, and I only ever see them occasionally and one at a time, so unless he moves in and brings his family I’m content to let him scavenge the occasional nut or seed. 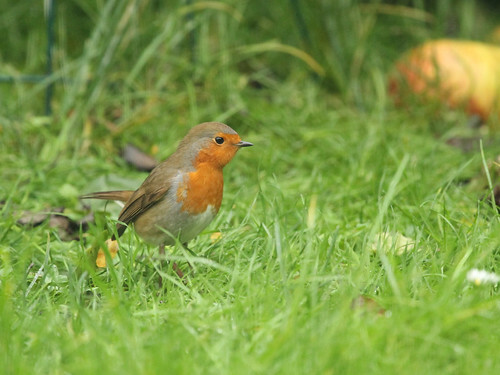 The robin (Erithacus rubecula, Dansk: rødhals) is a feisty little bird which I’ve often found hopping round my feet looking for the insects that get turned over as I dig the garden, or sitting on a feeder within inches of me, completely unfazed as I’m working, as long as I don’t do anything overtly threatening. 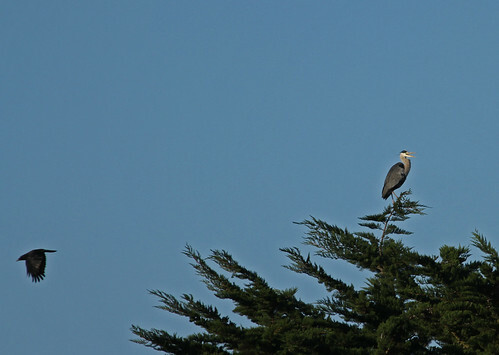 Often I don’t know it’s there until I glance up and see it sitting on the fence peering at me, and if I ignore it and carry on working it will go about its business unconcerned by my presence. 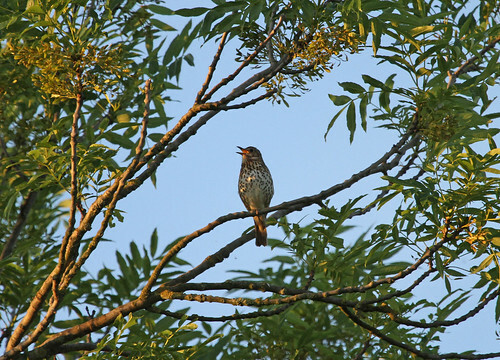 They are iconic garden birds and according to the British Trust for Ornithology our unofficial national bird. 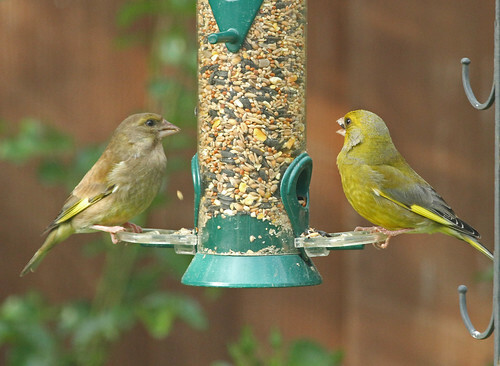 The shape of the pointed, chunky, beak of the greenfinch (Chloris chloris, Dansk: grønirisk) clearly marks it out as a seed eating member of the finch family although they also hunt invertebrates to feed the chicks to give them a rapid calorie boost. 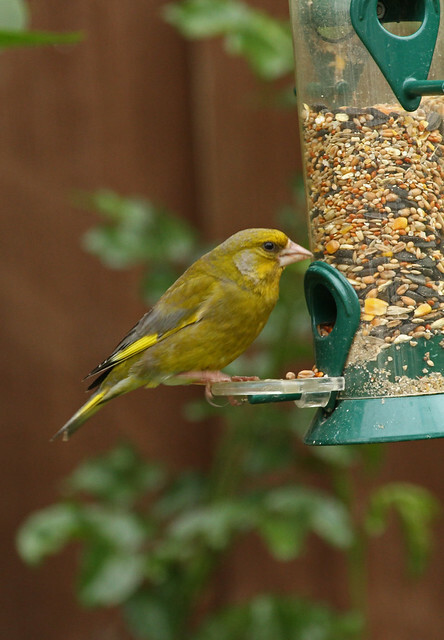 From a distance the greenfinch can look fairly dull, but in full breeding condition and good light the males have magnificent plumage. 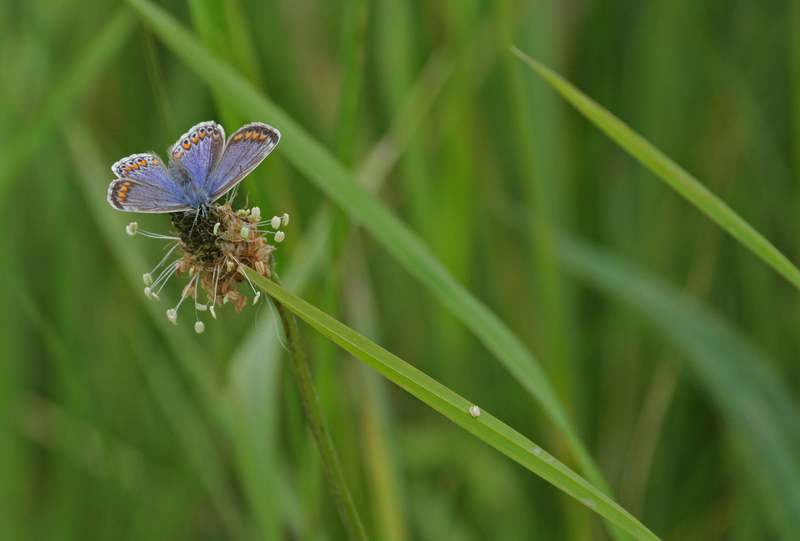 This one is also decorated by tiny drops of rain on its back. 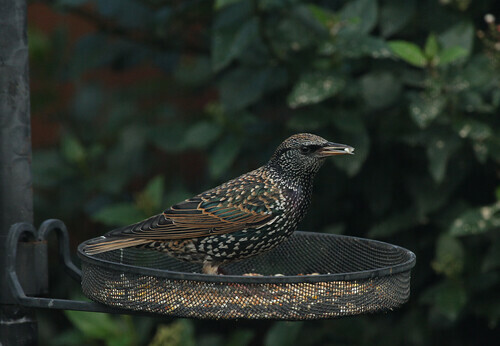 This year the starlings were numerous and entertaining, another feisty visitor, especially when they bowl in mob-handed complete with sizable broods of unruly youngsters. 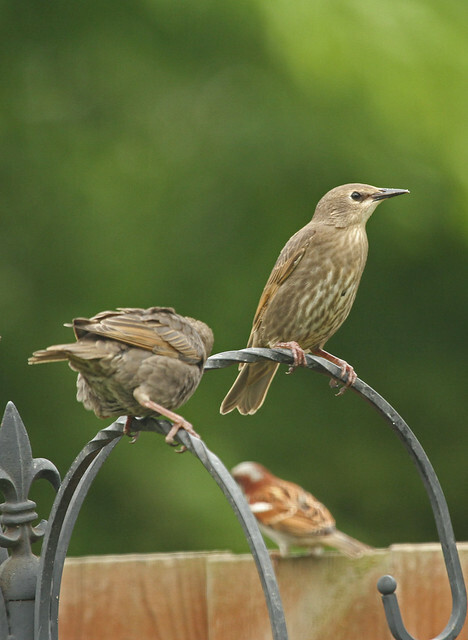 For several weeks, families of starlings (Sturnus vulgaris, Dansk: stær) with many fledglings invaded the garden and fed mainly on the fat balls. 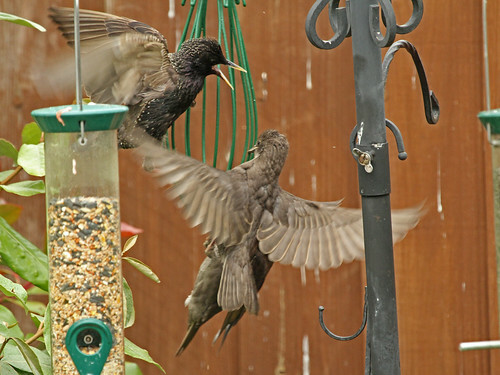 There were often 20+ individuals making a right old cacophany and emptying both the fat ball feeders every day. 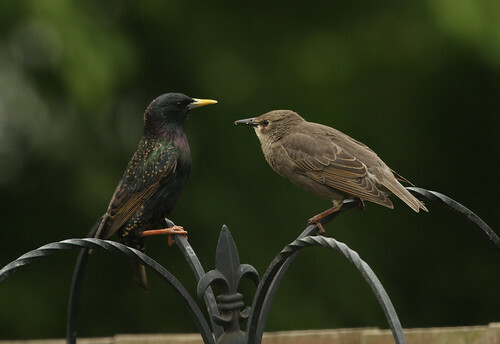 It was good fun to watch, and as the starling is red listed in the UK due to huge population decline it was good to see so many fledglings. 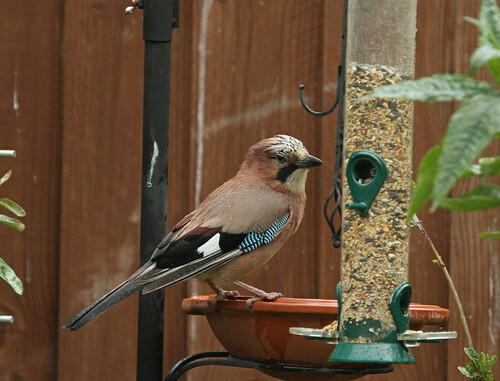 Jays are extremely infrequent visitors to my garden but this one appeared every morning and throughout the day over a week at the end of May beginning of June. 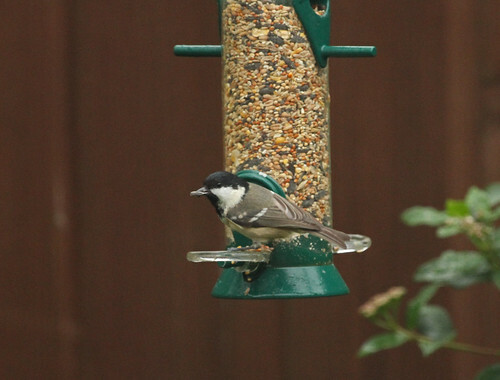 It was taking seed from the tray feeder and I’m guessing it had a nest close by. 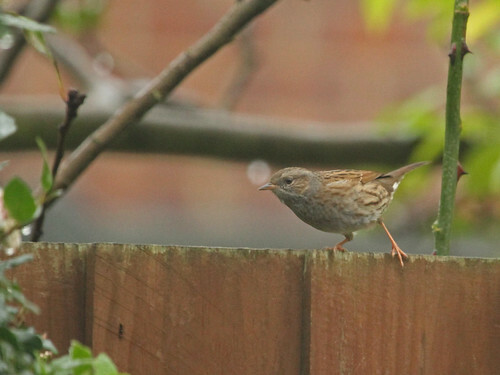 (The ‘decorated’ wood of my fence really isn’t the most attractive backdrop for a nature picture so I’ve since moved the bird feeders to a new location infront of some foliage!). The jay is by far the most colourful of the crow family, most of which have almost entirely black plumage, except the magpie which is black and white. As you can see it’s the size of a small crow but the colours are magnificent. This one was brave too. I was sitting on a bench just 6-7m away and it was quite happy for me to sit that close and photograph it. Jays feed mainly on seed and in the autumn they cache acorns by burying them in the ground for retrieval when things get tough through the winter. I’ve heard that a single jay can bury up to 5000 acorns… and remember where they all are! But I’ve also heard that jays are very good at propagating oak woodland, so maybe they do forget where some of their treasure is buried. 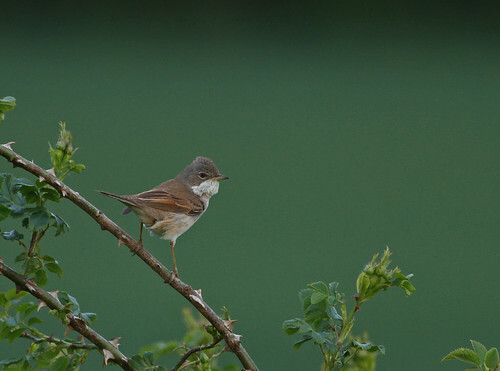 You may have noticed that there are few things I like better than getting out into the countryside and taking photographs of the wildlife. 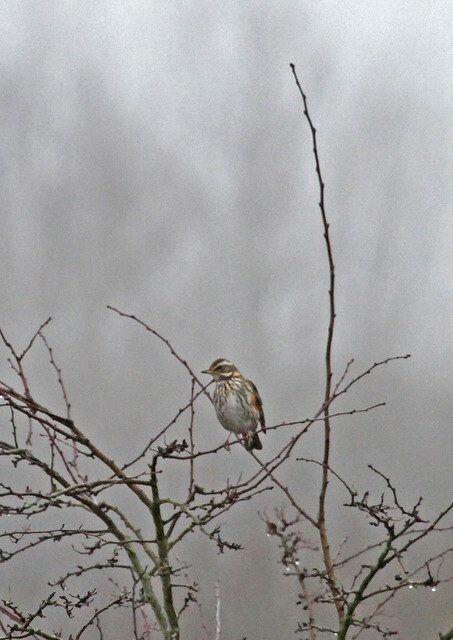 But just occasionally the wildlife comes to me and I don’t have to even leave the armchair. Such was my good fortune during a recent visit to my parents. The garden there is fairly green and the birds know there is always a square meal for them because my Dad has been feeding them regularly for over 40 years. 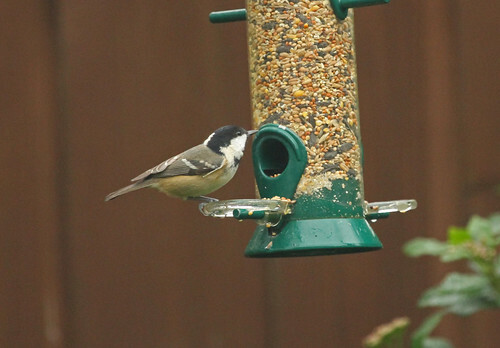 So on this a particular afternoon the feeders were replenished and the birds visited in droves. 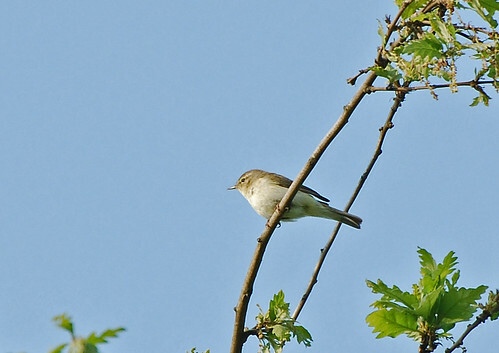 Because everything was late in the spring this year due to the cold weather the birds were paired off but were not all sitting on eggs yet and various species were behaving as though they were starting to think about mating but hadn’t yet got round to it. 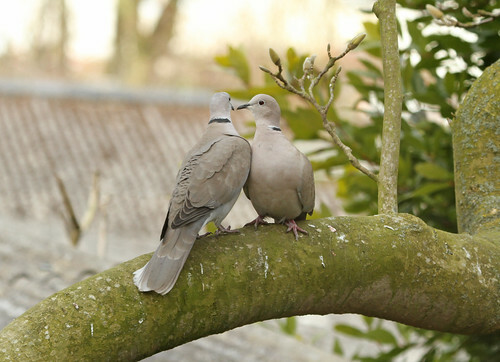 The Danish name for the collared dove ‘tyrkerdue‘ translates to ”Turkish dove‘ in English because their home territory is in Turkey and the Middle East from where they spread to the UK, arriving in 1955. 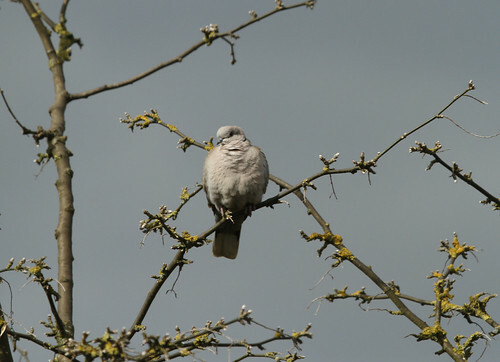 The gentle and peaceful image traditionally associated with doves is belied by the reality, they are one of the most agreesive garden birds and I’ve watched them chase off all comers including much bigger birds than themselves such as wood pigeons. They’re feisty characters! 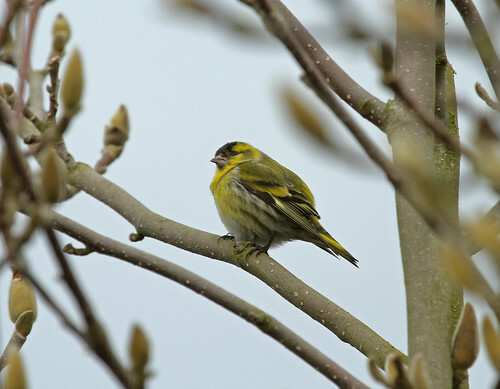 Ten days before this visit to my folks I’d seen siskin (Carduelis spinus, Dansk: grønsisken) in my garden near Cambridge and I talked about them in this post. 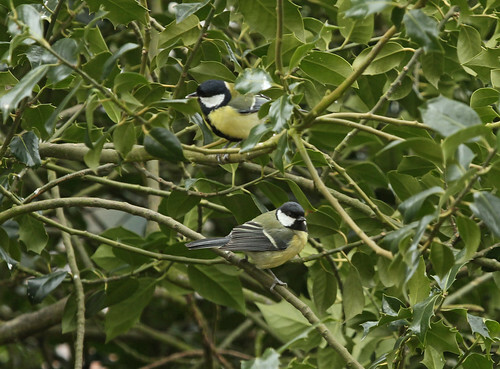 So within the space of a couple of weeks I saw them in two gardens, having never seen that at all before. Another sign that times they are a-changing, climatically speaking. 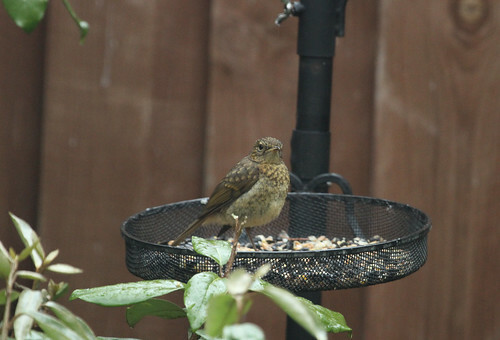 This one is sat just above a niger seed feeder which is what tempted it into the garden in the first place. 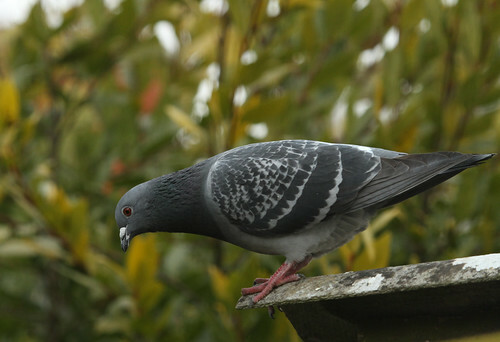 Much to the annoyance of my Dad a flock of 20-30 feral pigeons have taken up residence on an adjacent roof and as with other pigeons they have an insatiable appetite for free food. 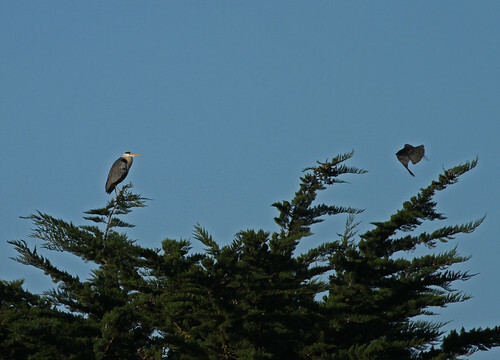 As they are mob-handed and not slow in coming forward they deter the smaller songbirds so I can fully understand the old boy’s ire, but on the other hand they are handsome birds and entertaining to watch as a flock in flight. 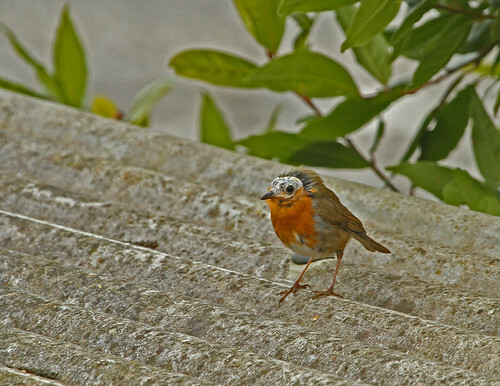 I don’t know what happened to him but I’ve heard it said that robins (Erithacus rubecula, Dansk: rødhals) will fight each other to the death in competition for mates, and peck at each others heads to the point where they scalp each other. So I wonder if this little monster has been fighting and got a sub-lethal pecking that subsequently became infected. Whatever it was, it didn’t kill him and he was turning up in my folk’s garden for a couple of months in this state before he eventually disappeared. 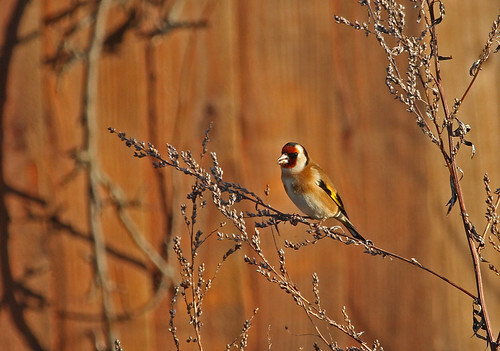 Two species of bird are said to use niger seed feeders, but up until this winter I’d only ever seen one of them on mine, and that’s the goldfinch (Carduelis carduelis, Dansk: stillits). The other species, that I had never seen was the siskin (Carduelis spinus, Dansk: grønsisken). 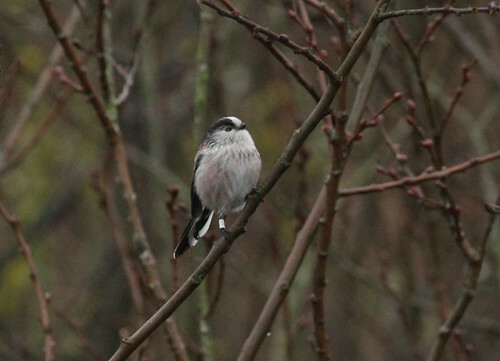 Not only had they not appeared on the feeders but I hadn’t seen one for years before this winter. 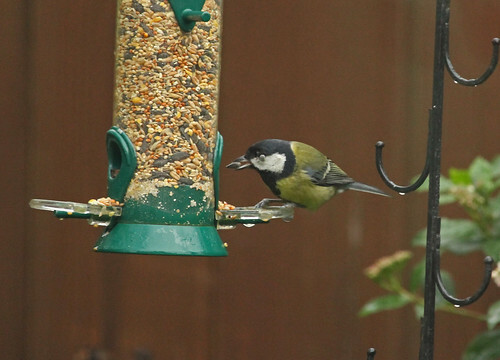 My friend in the village said that he had seen one on his feeders and it was reported that the dreadful weather last year had caused such a shortage of wild seed, the siskins natural food source, that they were showing up in gardens in unusual numbers. Needs as needs must when hunger prevails. 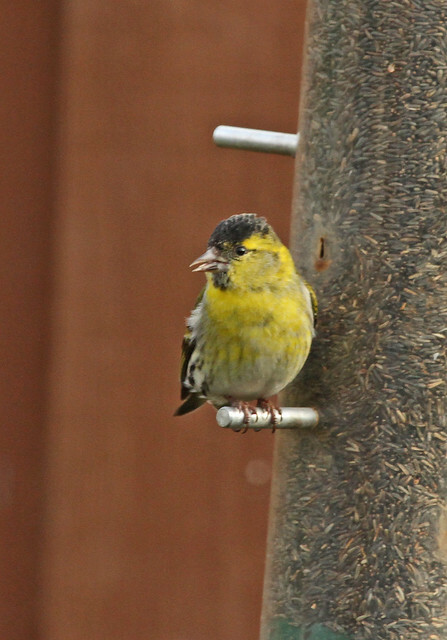 The normal diet of the siskin consists of seeds from spruce, pine, alder or birch trees and they will occasionally feed on invertebrates too. 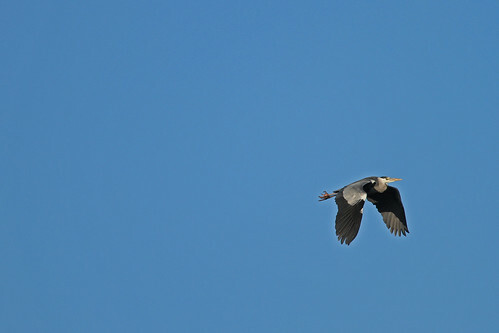 In the photograph above it’s easy to see the long and pointed but powerful beak it would need to extract the seeds from pine cones. The conservation status of the siskin according to the British Trust for Ornithology is green and they don’t appear to be in any danger, which is unusual in itself these days, so it’s surprising I haven’t seen one for so long. 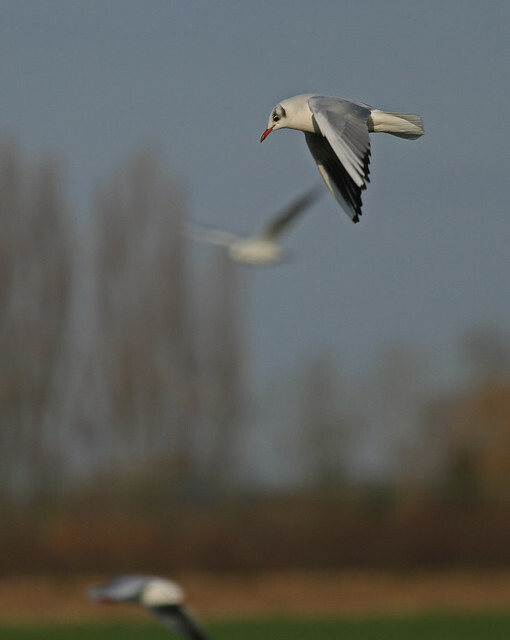 It’s a resident breeder here in the UK and a passage and winter visitor, flying in from further north in Europe. 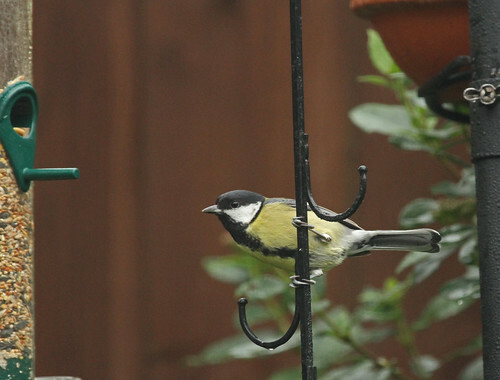 They are particularly handsome birds and although it’s a pleasure to see them I hope the need to use garden feeders doesn’t go on from year to year or their green conservation status may not last.